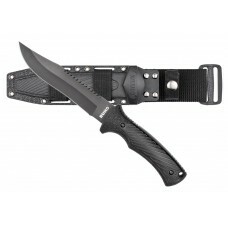 A selection of RUKO® Knives specifically tailored to survival situations. 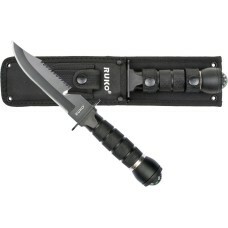 All Knives come with RUKO®'s Lifetime Warranty. 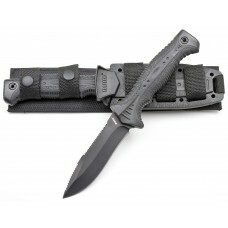 420J2 Stainless steel knife with compass cap, fish hooks, wire saw, honing stone, matches and simula..
Marine Corp style combat knife, matte black S45C Carbon blade with vent, molded rubber handle, ABS s.. 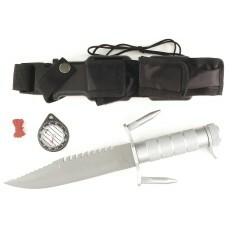 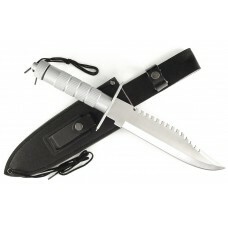 Survival Kit Knife, 420J2 1/4" thick blade with dual saw back pattern, heavy duty nylon sheath with .. 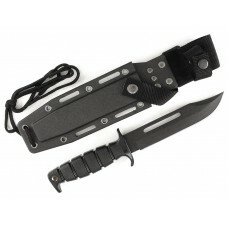 Survival Knife, 440A stainless black titanium nitride coated ATB saw back blade; 3.5mm rat tail tang..
7Cr17MoV Titanium Nitride Finish Tactical Knife with Serrated/saw back blade; 4.5mm Full Tang blank;..
420J2 Oxide Finish Survival Knife with ATB Saw Back Blade and ABS Handle with Ball Compass Pommel; h..